His background as a professional musician, scientist, fine artist and designer has contributed to his deep understanding of, and profound commitment to, empowering others to manifest their life missions -and to do so artfully, skillfully and sacredly. "This book is a great read. It reminded me of the movie, The Traveler. Going back to a time where you are in another dimension from your present. I think of this book in terms of a pronoid, where they see the world as trying to help them. It gives us a reason to know what our mission is here on Earth. This book has the meaning of us not being human beings but human becomings. Definitely needs to be on your bookshelf." Author Daniel Goodenough has worked as a research scientist, professional musician, fine artist and graphic designer, and has had a lifelong commitment to the mystical path. The Caravan of Remembering, A Road Map to Experiencing the Awakening of Your Life’s Mission tells the story of a character David, who travels to an alternate universe in order to rediscover his true purpose and the life he was always meant to lead. Trapped in his life as a designer in Chicago, a life both safe and meaningless, David hears a call he can’t resist to enter Caravan, a timeless, mystical desert world where he travels with mentors and other seekers to find his life's meaning. Tools for the journey, including journaling and immersion in life's story, are embedded in this rich tale, which although fictional, is grounded in author Goodenough's own 30 years of working with thousands of life mission seekers. Of special note is the inclusion of a series of questions in the back of the book that will help readers apply what they've learned to their own lives. As a child, I imagined the possibility of a world that honored the importance of everyone’s reason for being on earth. I imagined a world where one’s individual calling is nurtured, a world that helped each of us to remember, cultivate and unfold this call of the soul throughout our lives. This imagined world has informed my life and inspired the search for an architecture of remembering. How do we remember our most fundamental why, and build a life around what this calls us to do, and who this calls us to become? The story of Caravan is a blueprint and process of this becoming. This first book of the Caravan series begins the personal exploration of what life mission is, while being called to the articulation of the why, what and who of our reason for being here on this planet. It is the beginning of a road map for exploring your unique relationship with life, and the most beautiful way of offering to the world the unique essence of who you are. The invitation of Caravan is to immerse yourself in the story, moving through both worlds, as the experience of David and your own remembering carry you to the discovery of your own life mission story. Caravan is meant as a shared experience, an example of someone living the process of life mission inquiry. 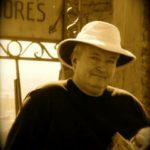 As you move through the story, I invite you to create your own Caravan expedition journal, answering along with David the questions presented, and doing the exercises that he is called to do. You may first read the story through for enjoyment, later returning, as called, to work with the questions and exercises by using the guide in the back of the book. The process embedded in Caravan’s story is meant to develop your skill in articulating your life mission, while also developing skill in unfolding your life mission over time. You can use the questions and exercises as a musician does, daily doing scales to increase the skill with their instrument. In this case, one’s own life is the instrument. Caravan is a place to be revisited as often as needed, with a process that is both a welcome mentor and companion on this journey. In these rapidly changing times, a young person can expect to change careers as many as 16 times over the course of their lifetime. The Caravan of Remembering, A Road Map for Experiencing the Awakening of Your Life’s Mission, new fiction by Daniel Goodenough, gives us the guidance and inspiration we need to stay centered and focus on our true talents and gifts in these times. Trapped in a life as a designer in Chicago that is both safe and meaningless, David hears a call he can’t resist to enter Caravan, a timeless, mystical desert world where he travels with mentors and other seekers to reconnect with his life’s meaning. Tools for the journey, including journaling and immersion in life’s story, are embedded in the story, which is grounded in the author’s 30 years of working with life mission seekers. A series of questions in the back of the book helps readers apply what they’ve learned to their own lives. Author Daniel Goodenough has worked as a research scientist, professional musician, fine artist and graphic designer, and has had a lifelong commitment to the mystical path. For the past 30 years he has taught thousands of students internationally through The Way of the Heart, a program of self-discovery and spiritual growth. Caravan of Remembering is the first of four works of fiction about life’s mission forthcoming from Heart’s Way Press. Daniel Goodenough, an accomplished speaker, is available for radio and TV interviews and bookstore readings. He can speak about finding one’s true life’s purpose, and how to listen for authentic inner guidance and apply these principles to work and our everyday lives. 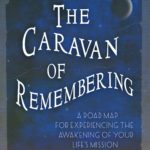 The Caravan of Remembering: A Roadmap for Experiencing the Awakening of Your Life’s Mission. Heart’s Way Press, pub. 2016, 283 pages, $20. Available from Amazon.com in print and in ebook formats. Please inquire about copies for review. See websites www.caravanofremembering.com and www.thewayoftheheart.com. "My wish is that you fall so much in love, and fall so completely, that once and for all you surrender into your passion and purpose."